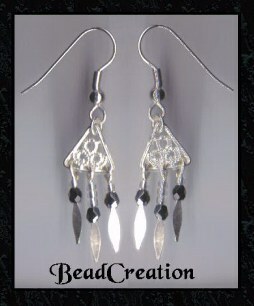 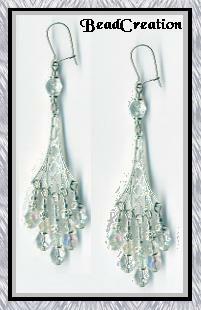 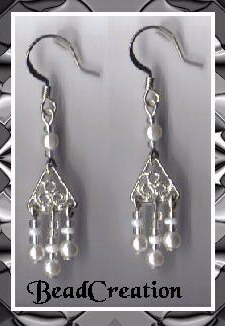 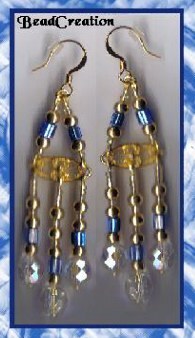 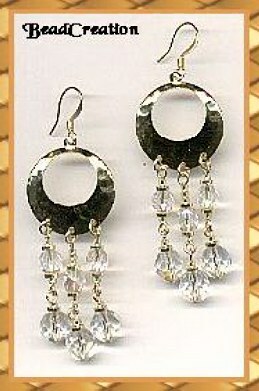 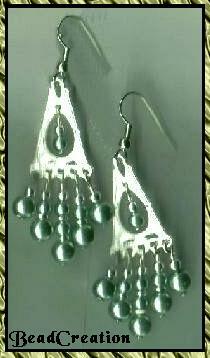 Pretty silver filigree earrings adorned in clear fire polished glass with iridescent finish. 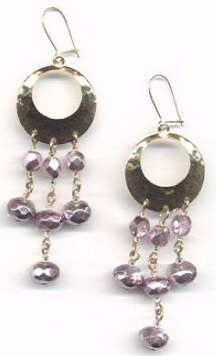 Pink mirror beads reflect the light incredibly. 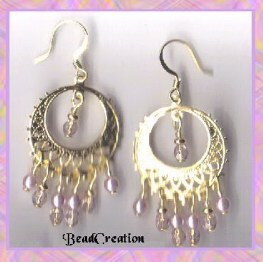 Each strand hangs from gold pounded hoop. 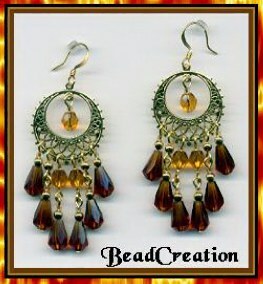 This pair is a one of a kind creation.